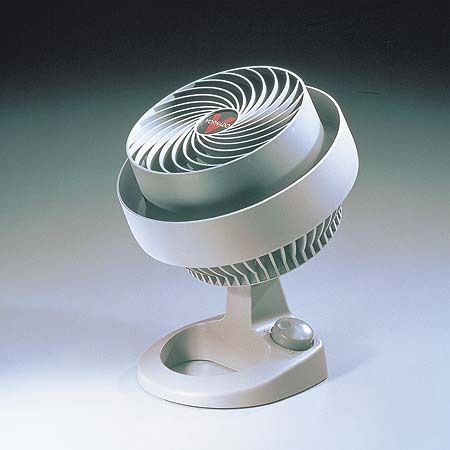 This is a small air circulator developed by engineers who formerly worked for the Boeing Company. Plastic frame, propeller, and grill are assumably based on the theory of the newest aerodynamics. The most interesting feature of this product is that strong whirl of wind ventilates the room so that temperature change caused by air conditioning is solved with energy saving effect. It does not oscillate, yet, the wind blows from the sides and from the top. It is small enough to carry in rooms, still, the design is never too simple. It is cute but of high technology taste, of which form resembles a turbo engine.